Apple has taken the wraps off a number of newly drawn emojis as well as some brand new emojis that will be part of the iOS 11.1 update when it arrives. We already have the first beta of iOS 11.1 to test, but the emoji are not part of that package for now. These new emoji are actually Apple’s flavor of new ones that are being added as part of Unicode 10. It’s likely that iOS 11.1 will be the platform on which most will get to see the new emoji set for the first time. When that happens, users are in for something of a treat! Apple says that hundreds of them will be added to the platform, with developers and public beta testers being able to get a taste of them next week when beta 2 of iOS 11.1 arrives. 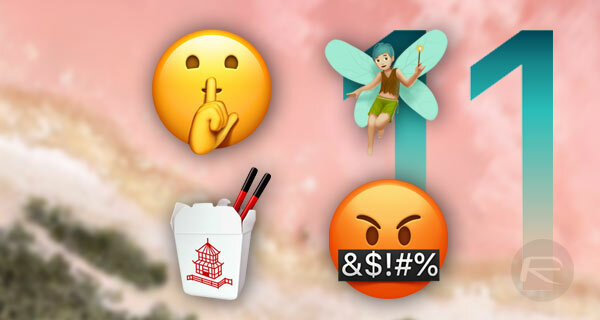 The company did also put out a handful of new emojis as part of World Emoji Day recently, but this new cache is an altogether different beast. If there is one thing about emoji, it’s that trying to explain them in words is something of a fool’s errand, so the best think you can do is lay eyes on them for yourselves. Some of our favorites are the new animals – who doesn’t like dinosaurs? – and anything that involves food. Have you ever seen broccoli look so good? We know we haven’t! Fans of curling, rock climbing, and more, will also be pleased to see their sport of choice represented as part of the new collection. Also included are some fresh smiley faces, which are always welcome. hile iOS 11.1 will get the new emoji soon enough, Apple has not yet said when the likes of macOS and watchOS will also follow suit. We don’t expect either to be too far behind though.